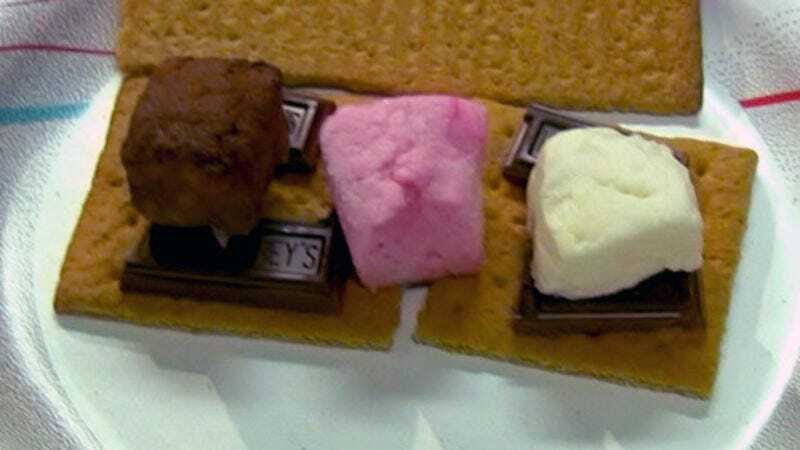 Here’s the problem with taste-testing marshmallows: They don’t really taste like anything. Essentially sugar and gelatin in fluffy pillow form, they’re more a textural experience than a taste experience. Which seems like a situation ripe for exploiting, perhaps by an ambitious California company called To Your Heart’s Content, which is manufacturing flavored marshmallows. And not just any flavored marshmallows: Plush Puffs are gourmet, organic, gluten-free marshmallows, sweetened with honey rather than corn syrup, and kinda pricey, at $6 for a four-ounce box. Taste: Mostly about as expected. Chocolate Chipetta, which are chocolate marshmallows covered in tiny chocolate chips, taste strongly and a little bitterly of cocoa powder; the chips taste like nothing. Luscious Lemon Meringue Puffs taste pleasantly creamy and lemony. Peppi-Mint was the biggest surprise; that variety has a strong peppermint bite, with a flavor much like the soft, meltaway pastel mints in the courtesy bowls at cheapish hotels and restaurants, but cranked up to a higher intensity. The big difference here was the texture. Most conventional marshmallows are covered with a fine powder to stave off the stickiness; commercially, it’s made with cornstarch or confectioner’s sugar or both. Plush Puffs are uncoated, so they’re immediately stickier in the hands, and they tend to soften and anneal together in the bag. They’re also denser and heavier, yet softer, chewier, and (in the microwave, not in fire) meltier. The tasters were pretty solidly divided on whether this made them a superior marshmallow experience, or an annoyance. Where to get them: Order online at PlushPuffs.com, or check the “where to buy” section of the site for stores that carry them near you.